From now on you don’t have to use your smart phone to express yourself with emojies. Acne has released a new capsule collection with unique prints inspired by emojis. The collection uses everyday objects that have taken on new life as emojis, represented as isolated symbols on wardrobe staples such as sweatshirts, T-shirts, knitwear, head wear and sneakers. 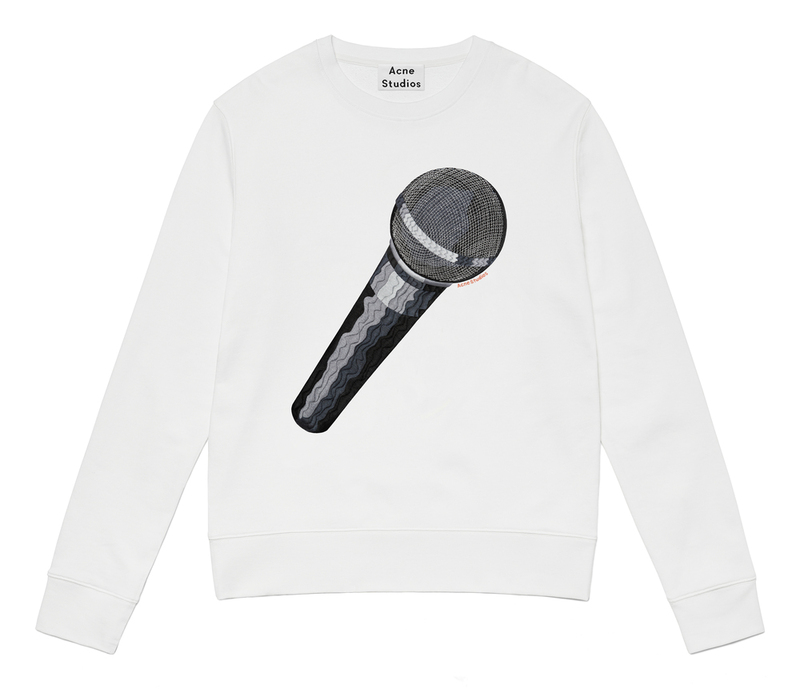 To add an additional feature to the classic sweatshirt styles, Acne has decided to up the ante with highly detailed compact embroideries of oversized microphones, bananas and doughnuts. As an alternative, the pig’s nose and a brown swirl of mousse become small chest embroideries. 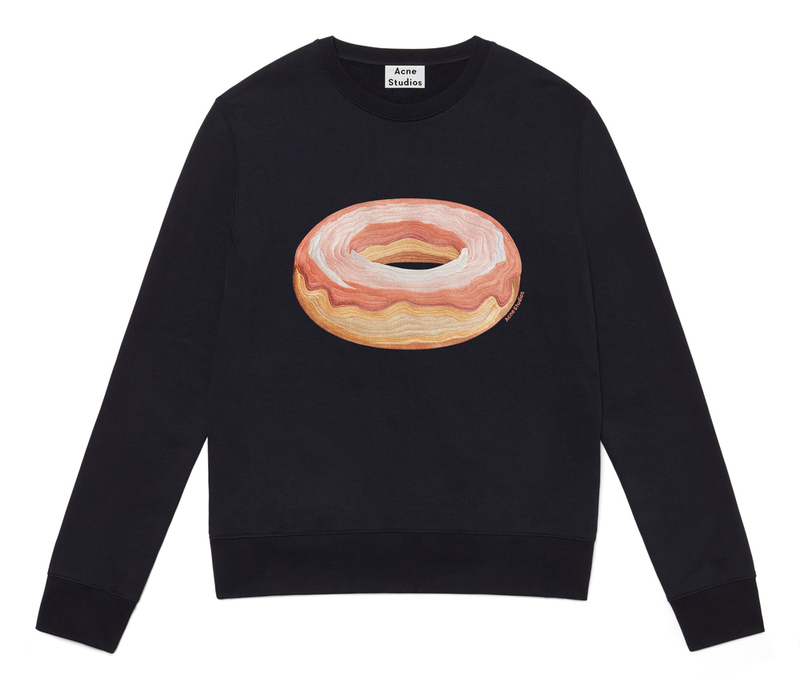 In addition hot dogs appear as knitted pattern in a jacquard sweater, as well as printed on a heavy jersey T-shirt, while patches of square faces show what they are thinking about on the sweatshirts. A highly enjoyable collection dedicated to the love for the emojis. The collection will be available from August in Acne Studio stores and on acnestuidos.com.